The DCU Enactus society hosted Miss DCU during Enactus Week last Monday on the Glasnevin campus. Nine finalists battled it out for the crown by performing tasks and showcasing their talents, with Miss Surf and Sail, Orla O’Leary taking the title. The event kicked off Enactus Week, an annual week hosted by the society. “It was a fantastic success. It’s probably one of the biggest events of the week, the events team were busy planning this one for weeks in advance,” said Aideen Foley, the CMO of the society. On Tuesday, HeadstARTs took place in the Henry Grattan, where volunteers and society members took part in teaching drama, dance and art to adults and teenagers with intellectual disabilities. “HeadstARTS takes place every Tuesday on the DCU Glasnevin campus and Thursday down in St. Pats and is actually the longest running Enactus DCU project. It was set up over 5 years ago,” Aideen said. 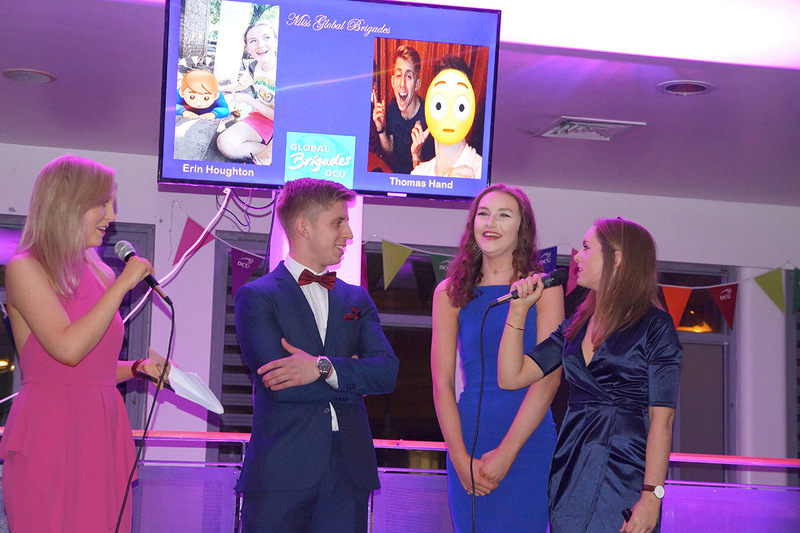 “It has been so successful that it’s been franchised by Enactus NUIG,” she added. On Wednesday, the CEO and founder of Tuk Tuk Cartel Alain Buffind gave a talk in The Mezz. This was followed by ‘The Pitch’. “The Pitch sees each project leader give a brief presentation on each project, with a discussion and brainstorming afterwards,” she added. Thursday saw Enactus teaming up with DCU’s Fotosoc. Students got the opportunity to get their headshots professionally taken for only €2. “Last semester we ran a very successful ‘headshot’ event with Fotosoc DCU which we repeated again this semester. Students got their headshots taken professionally for just €2,” Aideen added. The annual Enactus Week aims to encourage students to engage in the society and realise the potential it has to offer. The society launched ‘Well on the Way’ on March 22nd. “The project aims to address the issue of water poverty, by just drinking water. As of last week, the Well on The Way water bottle went on sale in canteen in DCU. This is a huge step for the project as this stage last year, ‘Well on the Way’ was only in the growing stages,” she explained.